The Speedo BioFUSE Training Fin Set is the perfect addition to any traning session. 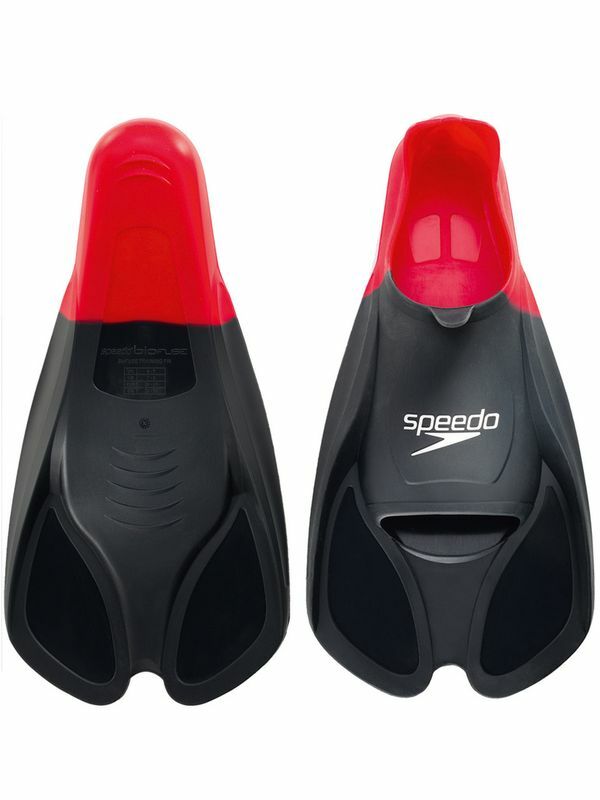 Engineered to increase speed through the water and improve leg strength and ankle flexibility, these fins are a sleek areodynamic design offering a superior comfort fit. The BioFUSE Training Fin sizes are in USA shoe sizes. BioFUSE Training Fin Set manufactured by Speedo Swimwear the worlds leading swimwear brand. Speedo is passionate about life in and around the water, creating revolutionary new technologies, designs and innovations.